Administrative Law Judge (ALJ) Peter Paul Castillo, Office of Administrative Hearings (OAH), State of California, heard this matter in San Jose, California, on September 13 and 14, 2011. Rodney Levin, Attorney at Law, represented the San Jose Unified School District (District). Lyn Stacy, the District’s Director of Student Services, was present throughout the hearing except for the morning of September 13, 2011, when Nancy Pinkel, District’s Special Education Manager, was present. Student was represented by her mother (Mother). Mother was present on all hearing days. Student was not present at the hearing. 1 To maintain a clear record, the closing briefs have been marked as exhibits. The District’s brief has been marked as Exhibit D-18 and Student’s as Exhibit Z. Parents requested an IEE based on their contention that the District failed to assess Student in all areas of suspected disability. Primarily, Student contends that the District failed to have a qualified assessor assess Student’s central auditory processing disorder and related prosodic deficits. Additionally, Student asserts that the District failed to consider Student’s emotional and behavioral deficits, primarily past suicide attempts and Student’s increase in math scores were not adequately explained. The District argued that it assessed Student in all areas of suspected disability based on the assessment plan that Parents wanted assessed, that its assessors were properly qualified and appropriately administered the test instruments, and the assessment results were accurate. 1. Student is a 15-year-old girl who resides with Parents within the geographical boundaries of the District. Student has not been found eligible for special education services3 and is presently receiving accommodations under Section 504 of the federal Rehabilitation Act (504 plan). At the time of the integrated assessment, Student had just entered high school in ninth grade. 2. The District previously assessed Student for special education eligibility in the Spring of 2009 when she was in seventh grade. The District previously assessed Student based on parental request. Parents were concerned that Student’s anxiety did not allow her to access her educational curriculum, in particular, her difficulty in completing homework. At the time of the 2009 assessment, Student had a 504 plan due to colitis. Parents also raised concern about Student’s auditory processing. At the May 28, 2009 individualized education program (IEP) team meeting, the District determined based on the assessment results and Student’s school performance, that she did not qualify for special education services. The District determined that even though Student had an auditory processing disorder, she did not have a severe discrepancy between her academic potential and actual academic performance and was making meaningful educational progress pursuant to her 504 plan. Also, Student was not displaying significant anxiety problems at school that prevented her from making adequate educational progress, and she did not have a speech and language impairment. 2 At the hearing, Mother clarified that Student was not challenging the nursing assessment portion of the integrated assessment. 3 Mother testified that Student received special education services in Canada before the family moved to the United States for Student’s third grade. Student’s prior school district determined Student not eligible for special education services during third or fourth grade. 3. In August 2009, Parents had obtained a private educational evaluation of Student from Trenna Sutcliffe, M.D., who recommended further psychological testing to determine if she has a non-verbal learning disability. Dr. Sutcliffe did not testify at hearing and her report was admitted as hearsay.4 Dr. Sutcliffe also recommended counseling for Student for her school-based anxiety and monitoring of her social skills. Of note in Dr. Sutcliffe’s report was the statement that Student maintained adequate grades and there was no statement in regards to Student requiring special education services. Dr. Sutcliffe summarized her August 2009 evaluation impressions in a September 28, 2009 letter to the District. 4. At the end of 2009, Parents obtained a private psychological evaluation by Michael B. Jones, Ph.D., who issued a report on December 11, 2009. Dr. Jones was Student’s treating clinical psychologist in November 2009. Dr. Jones did not testify at hearing, and his report was admitted as hearsay. 5. Dr. Jones’ evaluation report pointed out information similar to the District’s May 2009 assessment regarding Student’s processing deficits and academic achievement. The two main differences were, first, that Dr. Jones found that Student had a prorated full scale IQ of only 87, low average, while the District found Student’s full scale IQ to be 99, average.5 The second difference was Student disclosing to Dr. Jones that she had suicide ideations and his finding of depressive symptoms, whereas the District made no such findings. Dr. Jones recommended further testing to rule out autistic-like behaviors and to examine Student’s audiological processing disorder. 6. In October 2009, Parents obtained a private audiological evaluation by Elizabeth Verber, Au.D., who also did not testify, and her report was admitted as hearsay. Dr. Verber found that Student had an audiological processing disorder with a prosodic deficit.6 According to Dr. Verber’s report, the prosodic deficit affected Student’s ability to understand the intent of spoken language, such as sarcasm, perceiving jokes, and other abstract or nuanced messages, which would impact her social skills and possible problems with speech production. 5 Dr. Jones mistakenly found that the District did not report Student’s full scale IQ in the May 2009 assessment report and did not explain his belief that Student’s working memory depressed his IQ result as the District’s May 2009 assessment working memory composite score was 94. 7. Based on the above information regarding Student, the District modified Student’s 504 plan on February 12, 2010, to provide Student with accommodations for preferential classroom seating, additional time to take tests and complete assignments, visual examples to support verbal instruction, and the ability to complete written assignments at home. After the 504 plan meeting, Parents had Student’s new therapist, Melody D. London, Ph.D., provide the District with letters on March 25, 2010 and April 16, 2010. Dr. London, who had started working with Student in early February 2010, stated that Student was experiencing severe anxiety and depression that affected her ability to complete homework and interact with peers and raised concern about Student’s ability to succeed during the next school year in high school. The April 16, 2010 letter expressed concerns about Student’s suicide ideations and indications of autistic-like behaviors. 8. In May 2010, Mother again requested that the District assess Student for special education eligibility based on continuing concerns regarding Student’s academic achievement due to auditory processing and mental health issues. On May 3, 2010, the District gave Parents a proposed assessment plan based on concerns that Parents had raised about Student in the above private evaluations, including her decompensating at home. The District timely proposed assessing Student in the areas of academic achievement, health, intellectual development, speech and language, social and emotional behavior, and motor development. On May 4, 2010, Mother wrote and signed her own expanded assessment plan on a District form and submitted it to the District. 9. 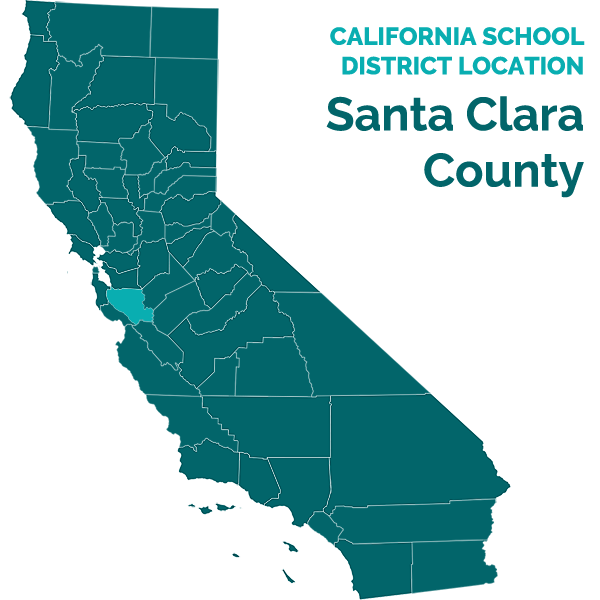 As to academics, Mother noted on the assessment plan that she wanted the District to evaluate Student’s low scores on the California Standardized Test (CST) and her problems with math and reading comprehension. As to intellectual development, Mother requested that the District assess Student’s executive functioning impairments, poor short-term memory, and problems with multi-tasking. With Student’s speech and language, she asked the District to assess Student’s prosodic and auditory processing deficits. As to motor development, she wanted the District to assess Student’s sensory sensitivity to sound and touch. For her social and emotional behavior, Mother did not include any specific areas that she wanted to be assessed. The District soon thereafter began the assessment process, which continued through the summer and the start of the 2010-2011 school year (SY). 10. The District timely completed and presented the integrated psychoeducational assessment at issue at the September 9, 2010 and November 8, 2010 IEP team meetings. Right after the November 8, 2010 IEP team meeting, Parents informed the District that they objected to the District’s integrated psychoeducational assessment and requested an IEE. Student contended that the District did not consider all relevant information during the assessment, based its conclusion on incorrect information, did not assess Student in all areas of suspected disability, and that the test was not adequate. The District subsequently filed a timely due process hearing request to defend its’ assessment. 6 Because Dr. Verber did not testify, prosodic deficit was not completely defined. 11. Pamela Pinelli conducted the speech and language assessment. Ms. Pinelli has both bachelor’s and master’s degrees in speech and language pathology, along with a certificate of clinical competency from the American Speech-Language-Hearing Association. She has a California Speech and Language Pathology license and a clinical rehabilitation credential. Ms. Pinelli has worked for the District for 31 years as a speech and language pathologist and conducts 50 to 100 assessments a year. Student’s main challenge to Ms. Pinelli’s assessment focused on the fact that Ms. Pinelli did not assess Student’s central auditory processing and prosodic deficits. 13. Ms. Pinelli assessed Student over four sessions at the start of SY 2010-2011. Ms. Pinelli limited the time of each session based on Student’s wish to not to miss too much class time for the testing. Ms. Pinelli administered the Peabody Picture Vocabulary Test (Fourth Edition) (PPVT-4), Social Language Development Test-Adolescent (SLDT-A), and Comprehensive Assessment of Spoken Language (CASL). Ms. Pinelli also conducted an informal assessment of Student’s voice and articulation. Student cooperated during the speech and language assessment and displayed no behavioral problems. The District established that Ms. Pinelli was qualified to perform all the listed assessments based on her education, training, and experience and she followed the testing protocols. Additionally, the formal tests were properly normed and administered and the tests were not racially, culturally, or sexually biased. 14. Ms. Pinelli administered the PPVT-4 to measure Student’s receptive language. The test involves showing a page with four pictures and asking the student to point to the picture that corresponds to the asked vocabulary word. With a standard score of 100 being the median average, Student’s score was 116, placing her in the 86th percentile. 7 The adequacy of the District’s assessment of Student’s auditory processing deficits will be addressed below in the review of school psychologist Megan Warter’s psychoeducational assessment. 15. To test Student’s voice articulation based on concerns raised in Dr. Verber’s report about Student’s prosodic deficits, Ms. Pinelli used an informal voice and articulation assessment. Student demonstrated adequate volume, pitch, and articulation of sounds during conversation. While Student’s voice demonstrated little voice inflection, which is consistent with a prosodic deficit, she did not demonstrate significant articulation deficits that required more formal testing since her voice and articulation were average. 16. Ms. Pinelli administered the SLDT-A, which measures a student’s ability to understand social language, such as body language, understanding inferences, problem solving, and use of idioms and non-literal language. The SLDT-A assessed Student’s pragmatic language and addressed concerns in Dr. Verber’s report about Student’s problems with non-literal language due to her prosodic deficit. 17. On all SLDT-A subtests, the median average score was 100 and Student’s scores on the five subtests were all within the average range. As to making inferences in which Student observed a photograph and then answered questions based on the perspective of the person in the photograph, Student had a standard score of 102. For interpreting social language, Student needed to use skills that reflected how people communicate, such as sarcasm, gestures, and idioms and Student had a standard score of 104. In problem solving which Student imagines how to resolve a problem with a friend, Student demonstrated logical and respectful solutions and had a standard score of 101. With social interaction, Student assumes the perspective of the main character in a situation with a peer and she was adept in proposing solutions that were appropriate, kind, and supportive with a standard score of 102. Finally, in interpreting ironic statements, Student listened to dialogue on a CD, which included sarcasm and irony, to which she was to provide appropriate responses, which Student obtained a standard score of 105. 18. Ms. Pinelli administered the CASL to measure Student’s use of oral language as to auditory comprehension, oral expression, and word retrieval, which includes Student’s knowledge of words and grammatical structures, ability to use language for tasks that require higher-level cognitive functioning, and knowledge and use of language in context. The median standard score on the CASL is 100. 19. For synonyms, Ms. Pinelli read a word and Student needed to choose the appropriate synonym from a list of four which was also verbally provided. Student often requested that Ms. Pinelli repeat the set of four words, consistent with her auditory processing deficit, which the CASL permits. Student had a standard score of 106. The grammatical judgment subtest tested Student’s ability to recognize grammatical errors and Student received a standard score of 104. 20. For understanding non-literal language, while Student had difficulty understanding figurative language, Student did well with sarcasm and indirect requests. This subtest analyzed areas of concerns related to Student’s prosodic deficit and she received a standard score of 102. In the subtest rating the ability to discern meaning from context, Student was asked to determine the meaning of an unknown word based on the context of a sentence that was read to her. Student obtained a standard score of 91, which falls within the average range. 21. The last subtest was pragmatic judgment. It was the last test administered and Student was tired, which Ms. Pinelli accurately noted may have depressed her score. This subtest measured Student’s knowledge and use of pragmatic language and appropriate application. Student was able to, for example, identify inappropriate speech, give directions, and decline invitations. Student had difficulty with requesting relevant information and making introductions and requested the reiteration of test items many times. Even with these difficulties, Student obtained a standard score of 94, which falls within the average range. 22. Student’s challenge to Ms. Pinelli’s assessment focused on the claim that Ms. Pinelli should have formally assessed Student’s auditory processing deficit and the related prosodic deficit. Ms. Pinelli explained that the school psychologist formally assessed Student’s auditory processing skills and Student did not establish a credible explanation why this was not appropriate. Additionally, Ms. Pinelli’s assessment did show that Student had auditory processing deficits, particularly when Student requested some test items to be repeated. However, even with this auditory processing deficit, Student was able to obtain average test scores. As to Student’s prosodic deficit related to the intent of spoken language, Ms. Pinelli assessed Student in all areas of suspected disability related to this deficit as set forth in Dr. Verber’s report. However, Student could not set forth any additional areas of suspected disability related to her prosodic deficit that the District needed to assess. 23. Therefore, the District was able to establish the appropriateness of Ms. Pinelli’s speech and language assessment as Ms. Pinelli was qualified to administer the assessment and assessed Student in all areas of suspected disability based, including areas related to Student’s prosodic deficits. Ms. Pinelli also examined deficits related to Student’s auditory processing which she was qualified to examine. Ms. Pinelli properly administered the test instruments for their designed purpose and the tests were properly normed and not racially, culturally, or sexually biased. Finally, the District established that the test results were accurate. Therefore, the resulting speech and language assessment was appropriate. 24. Cynthia Hammel conducted the District’s academic assessment. Ms. Hammel has been a special education instructor with the District for the past 12 years and has the requisite education and teaching credentials for her position as a high school resource specialist program teacher. Ms. Hammel’s job duties include conducting academic assessments. At the start of SY 2010-2012, in connection with District’s assessment, Ms. Hammel administered the Wechsler Intelligence Achievement Test, Second Edition (WIAT-II) over three sessions, which was permitted by test protocols. Ms. Hammel is qualified to administer the WIAT-II based on her education, training, and experience. She selected the WIAT-II because it is a norm-based test and appropriately measures Student’s academic abilities. Student did not challenge Ms. Hammel’s administration of the WIAT-II. Student contended that Ms. Hammel’s testing did not accurately reflect Student’s math abilities, which were an area of historic weakness for her. 25. In the May 2009 assessment, the District had administered the Woodcock-Johnson Achievement Test, in which Student obtained a standard score of 85 in the area of math. Student’s weakness was with applied problems, which was related to her auditory processing deficit because the problems are presented orally. Student also struggled in her math class in middle school and attended a math lab for additional support for her regular class. 26. For the WIAT-II used in the 2010 assessment, math testing was broken into two parts, numerical operations in which the student solves written problems and math problems where the student answers a word or stated problems. Student’s overall math score was 109. On the numerical operations, Student scored a 117, which falls within the high average range. On math problems, Student had a score of 102. Ms. Hammel noted that Student’s math scores would have been higher if Student had double checked her work and corrected simple errors. 27. On the remainder on the WIAT-II, Student’s scores on the reading, written expression, and listening comprehension subtests were either in the slightly above average range of 110-119 or within the above average range of 120-129. Student did not demonstrate that any of her scores on the WIAT-II were an inaccurate reflection of her abilities. As to math, Ms. Hammel was persuasive that the increase in Student’s scores was most likely reflective of the additional general education support that the District provided with the math lab class and changes to the 504 plan, which permitted Student to improve her math scores. Additionally, Student received comparable scores in the private assessment administered at the end of 2010 by Brendan Pratt, Ph.D., on the Woodcock Johnson Achievement Test in math, reading, and writing. Therefore, the results Ms. Hammel obtained on the WIAT-II were an accurate reflection of Student’s academic abilities. 28. Finally as to Student’s academic abilities, Student’s 2010 spring semester grades were “A” for science and social studies, “B+” for Language Arts, “B-” for her math lab, and “C+” for Algebra I. Student’s grades were consistent with her results on the WIAT-II as her lowest grades were in math with a passing grade. 29. Therefore, the District’s academic assessment complied with the statutory requirements. Ms. Hammel properly assessed Student’s academic abilities with the WIAT-II, which was appropriate to measure Student’s abilities in reading, writing, and math. The District did not use one measure as the District looked at past test results and her present academic progress. Ms. Hammel properly administered the WIAT-II for the designed purpose and the academic assessment produced relevant and accurate results. The test was not administered in a racially, culturally, or sexually discriminatory manner. Therefore, the resulting academic assessment was appropriate. 30. Ms. Warter conducted the 2010 psychoeducational assessment. Ms. Warter is a credentialed school psychologist , obtained in 2008. Ms. Warter received her bachelor’s degree in behavioral science and psychology in 2005 and masters’ degree in counseling and school psychology in 2008. Ms. Warter has been employed by the District as a school psychologist since SY 2008-2009. Ms. Warter was qualified to conduct Student’s psychoeducational assessment based on her education, training, and credentials. Before the assessment, Mr. Warter reviewed Student’s educational records, including documentation provided by Parents from Sarah DeHaan, MD., pediatrician, Ted Guarino, MD., Pediatric Neuropsychologist, Dr. Verber, Dr. Sutcliffe, Dr. Jones, and Dr. London. Ms. Warter also observed Student in eighth and ninth grade. During May 2010, Ms. Warter observed Student at lunch and at the start of SY 2010-2011, observed Student in her algebra class, due to her difficulties in math, world geography class, and in the quad area during her morning break. 31. For the psychoeducational assessment, Ms. Warter administered the following tests: Beck Youth Inventories for Children and Adolescents, Second Edition (BYI-II); Beery-Buktenica Developmental Test of Visual-Motor Integration (VMI); Behavior Assessment Scale for Children, Second Edition (BASC-2); Behavior Rating of Individual Executive Functioning (BRIEF); Gilliam Asperger’s Disorder Scale (GADS); the Kauffman Assessment Batter for Children, Second Edition (KABC-II); NEPSY-II;8 Neuropsychological Processing Concerns Checklist for School Age Children and Youth (NPCC); the Test of Auditory Perceptual Skills, Third Edition (TAPS-3); and Wide Range Assessment of Memory and Learning, Second Edition (WRAML-2). Ms. Warter assessed Student over five days and Student performed to the best of her ability during the assessment. Student did request that some test questions be repeated, consistent with her auditory processing deficit, but was able to respond to questions when information was repeated, similar to the findings made by Ms. Pinelli. 32. Regarding auditory processing, Student challenged the qualifications of Ms. Warter to assess Student’s auditory processing deficit. However, Ms. Warter was qualified to administer the TAPS-3, which is designed to measure Student’s ability to remember and process auditory information, and appropriate to assess a child’s educational needs. Ms. Warter properly administered the TAPS-3. Student did not present any evidence that only a trained audiologist could assess Student to determine educational deficits related to her auditory processing disorder. 33. As expected, Student performed below average on the TAPS-III. Student performed well below average in repeating numbers in proper sequence with a standard score of three, with 10 being the median score. Student was a little better in repeating back groups of words with a standard score of five, and repeating back sentences with a standard score of seven. Consistent with Student’s prosodic deficit, she had difficulty discriminating between two similar words with a standard score of five. Student was within the average range with a standard score of eight regarding her ability to create words after hearing words in small pieces and with listening to a word and creating a new word by deleting or adding a sound to the original word. When asked to listen to a passage and provide an appropriate oral response, Student had a standard score of eight. 8 NEPSY is not an acronym. 34. Student’s performance on the TAPS-III was consistent with prior information regarding her auditory processing deficits, information presented at the 504 plan meetings, and teacher observations. On similar subtests in the KABC-II and NEPSY-II for word order and number recall, Student performed below average, consistent with her TAPS-III performance. 35. While Student contended that the District did not fully assess her as to her auditory processing deficit, other than contending that the District needed to have Student assessed by an audiologist, Student did not demonstrate what other testing that the District needed to conduct to assess Student’s auditory processing in relation to her educational performance. Additionally, the District established that the testing as to Student’s auditory processing was accurate, and Student did not present any evidence why the District’s results were not accurate, aside from Mother’s opinion. 36. Student contended that the District failed to adequately assess her behavioral, social-emotional, and executive functioning deficits that affected her ability to make meaningful educational progress. In particular, Student claimed that the District failed to consider past suicide attempts and did not properly administer the BASC-II because Ms. Warter, not Mother, completed Mother’s BASC-II form. The District asserted that it assessed Student in all areas of suspected disability related to her behavioral, socialemotional, and executive functioning deficits, that it had no information that Student had previously attempted suicide, and that Ms. Warter accurately recorded Mother’s responses to the BASC-II questions. 37. In connection with the psychoeducational assessment, Ms. Warter reviewed the two recent 504 plans, which stated that Student suffered from a major depressive disorder, obsessive-compulsive disorder, generalized anxiety disorder, and impulse control disorder. All the stated disorders were diagnosed by Student’s private providers. As to suicide attempts, the District had no information before or during the assessment process that Student had attempted suicide. Dr. Jones’ assessment report and Dr. London’s April 16, 2010 letter to the District mentioned thoughts of suicide by Student, but no suicide attempt.9 Ms. Warter was aware of Student’s suicidal ideations while conducting her assessment. 38. The BASC-II consists of questionnaires given to individuals who have knowledge about a student’s behavior and social-emotional functions, typically parents, teachers, and the student. Student challenged the BASC-II form Mother completed because Ms. Warter asked Mother the questions on the form and filled in the answers, instead of giving the form to Mother to complete by herself. Ms. Warter completed the BASC-II parent form in this manner as she wanted to ask Mother follow up questions as to her responses to gather further information about Student’s behavioral and social-emotional deficits. Student did not establish that Ms. Warter did not honestly record Mother’s responses on the BASC-II, or that Mother would have provided different responses if allowed to complete the form at home. Therefore, Ms. Warter properly administered the BASC-II to Mother and its results were accurate. 39. Along with giving a BASC-II form to Student, Ms. Warter gave the other BASC-II questionnaire to Student’s eight grade algebra teacher because of Student’s difficulties with math, and Student’s English teacher because Student performed well in that subject. Ms. Warter did not give the survey to Student’s then current ninth grade teachers because the BASC-II protocols specifically required that the teacher had worked with Student for a longer period. Since the ninth grade school year had just begun, the new teachers did not have enough information about Student to complete questionnaire. Ms. Warter appropriately complied with the protocols. 40. The evidence established that Mother’s questionnaire results pointed out significantly more behavioral and social-emotional problems than the results from Student’s eighth grade teachers and Student. Mother’s results reflected her perceptions that Student displayed significant behavioral problems in the home environment. While Student may have been exhibiting more behavioral issues at home, such as school anxiety, depression, and suicidal ideation, Student did not display these problems at school in any significant fashion. This finding is based not only on the BASC-II results, but also based on the results on the BRIEF, and BYI-II, Ms. Warter’s school observations of Student, and Ms. Warter’s semistructured interview with Student. 41. The BRIEF is a questionnaire for parents and teachers to complete to examine a student’s behaviors related to executive functioning in home and school environments. The BRIEF looks at student’s ability to control emotions and behaviors through appropriate controls. Ms. Warter gave the questionnaire to Mother, Student’s eighth grade algebra and English teachers, and her ninth grade algebra teacher. Since protocols for the BRIEF did not require using persons with lengthier knowledge of the student, compared to that required by the BASC-II, Ms. Warter followed the BRIEF protocols in choosing the raters, and therefore properly included Student’s ninth grade teacher. 9 Dr. Pratt’s subsequent assessment only established that Student had suicidal ideations. 42. The results on the BRIEF were consistent with the BASC-II results as Mother noted more behavioral problems for Student at home than her teachers noted at school. None of the teacher questionnaires indicated any behavioral issues that severely impacted Student’s executive functioning such that it negatively affected her ability to learn. 43. On the BYI-II, the student completes the rating scale questionnaire, which measures experiences of depression, anxiety, anger, disruptive behavior and self-concept. On the BYI-II, a score of 70 and above indicates an extremely elevated score and Student’s highest score in any area was 61 for anxiety, which did not establish a significant risk. 44. The NPCC was completed only by Mother, who noted that Student had severe problems at home such as making and completing plans, organizational skills, and signs of irritability. While Student and her teachers did not complete the NPCC, the evidence established that the results on the BASC-II, BRIEF, and BYI-II did not show any corollary problems at school. 45. As to Student’s executive functioning, Ms. Warter administered the NEPSY-II, which is designed to explore possible deficits in a variety of areas. Student’s results on the NEPSY-II did not demonstrate significant problems with skill areas related to executive functioning such as problem solving, shifting attention, planning, organization, and working memory.10 Student’s school performance corroborated the NEPSY-II results because Student was successful in class, able to control her emotions, and interacted well socially. 46. Ms. Warter’s interview with Student did not indicate serious behavioral, social-emotional, and executive functioning problems as described by Mother. Ms. Warter developed a rapport with Student during the assessment process and Student was open and honest with her in discussing her behavioral and social-emotional issues that Ms. Warter was aware of through private reports and Mother. Student’s self-reports of anxiety, depression, friendships, amongst others, during the interview were consistent with information on the BASC-II, BRIEF, BYI-II, and NEPSY-II. Finally, Ms. Warter’s observations of Student showed that she interacted normally with her friends at school and did not demonstrate serious behavior and social-emotional problems in class. 47. Ms. Warter conducted an extremely thorough assessment of Student’s behavioral, social-emotional, and executive functioning deficits. Ms. Warter considered all the prior information provided by Parents in her assessment and assessed Student’s skills and needs in all areas related to her suspected disability. Ms. Warter properly administered the test instruments and questionnaires and was qualified to administer these instruments. The assessment tools were properly normed and not racially, culturally, or sexually biased. Therefore, the District established the appropriateness of Ms. Warter’s assessment as to Student’s behavioral, social-emotional, and executive functioning deficits. 10 The NEPSY-II results regarding Student’s attention and working memory will be discussed more thoroughly in the next section below. 48. Dr. Jones’ December 2009 assessment indicated deficits with Student’s working memory and attention. Mother also expressed concerns about Student’s attention and memory on the NPCC. For attention, Ms. Warter used information from the NEPSY-II, KABC-II, TAPS-II, and WRAML-2. 49. On the NEPSY-II, Student demonstrated average attention skills in her ability to focus and sustain attention, even with extraneous auditory or visual stimulation. Student also was able to shift attention focus from one task to another. On the KABC-II, TAPS-II, and WRAML-2, Student demonstrated problems with attention tasks that included an auditory component, such as recalling words and numbers read to her. Student’s attention deficits on the KABC-II, TAPS-II, and WRAML-2 were more reflective of her auditory processing deficit versus any attention deficit based on her ability to maintain attention when information was presented in a visual manner. Finally, information from the teacher’s BASC-II questionnaires did not indicate any problems regarding hyperactivity or attention deficits. 50. To assess Student’s memory, Ms. Warter used information from NEPSY-II, KABC-II, TAPS-II, and WRAML-2. As with attention, Student displayed memory deficits related to information presented to her orally versus visually presented information. As to auditory information, Student’s memory skills improved when the auditory information was presented in a meaningful context, such as an interesting story, versus recall of a list of random words. If the auditory information was repeated and rehearsed, Student’s memory improved significantly to slightly above average. The testing information regarding Student’s memory was consistent with her classroom performance, which improved when auditory information was repeated, as called for in Student’s 504 plans. 51. The District established that Ms. Warter conducted a complete and accurate assessment regarding Student’s attention and memory deficits, which established that these deficits were intertwined with her auditory processing deficits. While Student disputed Ms. Warter’s assessment results as to Student’s attention and memory, Student did not present any credible evidence to the contrary. Ms. Warter properly administered the testing instruments and was qualified to administer these, and did so in conformity with the testing protocols. The assessment tools were properly normed and not racially, culturally, or sexually biased. Therefore, the District established the appropriateness of Ms. Warter’s assessment as to Student’s attention and memory deficits. 52. Dr. Jones’ December 2009 assessment and Dr. London’s April 2010 letter both expressed that Student should be assessed for autistic-like behaviors based on her social skills, language, and attention deficits. Ms. Warter used the GADS as a screening tool, which is normed based on questionnaire responses that can assist in diagnosing Asperger’s Syndrome, a disorder that is part of the autism spectrum. Mother, Student’s eighth grade algebra and English teachers, and ninth grade dance instructor completed the GADS questionnaire. Ms. Warter chose the teachers based on their experience with Student in classes she enjoyed, English and dance, and one in which she struggled, algebra. As with the other questionnaires, Mother noted much more significant problems for Student with social interaction and pragmatic skills than Student’s teachers. The teachers noted extremely low frequency of any behaviors consistent with Asperger’s Syndrome. Additionally, Ms. Warter’s observations noted Student’s good social skills in her interactions with friends and classmates during classroom observations. Finally, the autistic-like behaviors that were noted were consistent with Student’s prosodic deficits related to her central auditory processing disorder, as described in Dr. Verber’s report. 53. Based on the information that existed at the time of the assessment, Ms. Warter did not have to conduct any further testing of Student related to autism. The District properly assessed Student for autistic-like behaviors by considering information in prior private reports, Ms. Warter’s observations, information from the GADS, and Ms. Warter’s interview with Student. Ms. Warter properly scored the questionnaires, and was qualified to interpret the results. The assessment tools were properly normed and not racially, culturally, or sexually biased. Therefore, the District established the appropriateness of Ms. Warter’s assessment as to Student’s deficits related to possible autistic-like behaviors. 54. On the NPCC, Mother raised concerns about Student’s sensitivity to sounds and her motor skills. On the VMI and NEPSY-II, Student did not demonstrate any significant weakness concerning her ability to perform pencil and paper tasks, such as copying shapes. As to sounds, Student did not demonstrate any extra sensitivity based on classroom observations and teacher information. Finally, Student did not display significant gross motor deficits based on her dance class participation. Student did not present any credible evidence that challenged information in the assessment about her sensory motor functions or that the District failed to completely assess her. Therefore, Ms. Warter properly assessed Student in this area, as she was qualified to administer the test instruments used, the tests were properly normed and not racially, culturally, or sexually biased, and the information obtained was accurate. 55. Mother requested a comprehensive assessment in the May 2010 assessment plan that she consented to, and the District complied by conducting a thorough assessment that addressed all of Student’s suspected disabilities based on information from Mother, private assessors, and District personnel. Based on the foregoing, the District assessors were qualified by their education, experience, and training to administer the test instruments and questionnaires in the integrated psychoeducational assessment, and properly administered these assessment tools. The assessment tools were appropriately normed, administered for the designated purpose, and were not racially, culturally or sexually biased. Finally, the District established that the information in the integrated psychoeducational assessment was accurate. Therefore, the District’s integrated psychoeducational assessment was appropriate. 9. A properly crafted IEP addresses a student’s individual needs regardless of her eligibility category. (20 U.S.C. § 1412(a)(3)(B); see Fort Osage R-1 School Dist. v. Sims (8th Cir. 2011) 641 F.3d 996, 1004 (category “substantively immaterial”); Heather S. v. Wisconsin (7th Cir. 1997) 125 F.3d 1045, 1055; Hailey M. v. Matayoshi (D. Hawaii, Sept. 11, 2011 (10-00733) 2011 WL 3957206, p. 3). “The purpose of categorizing disabled students is to try to meet their educational needs; it is not an end to itself.” (Pohorecki v. Anthony Wayne Local School Dist., 637 F.Supp.2d 547, 557 (N.D. Ohio 2009). ISSUE: Was the District’s September 9, 2010 integrated psychoeducational assessment in the areas of speech and language, academics and psychoeducational appropriate, so that the District need not fund the IEE requested by Parents? 10. Based on Factual Findings 3 through 10 and Legal Conclusions 2 through 9, the District’s September 9, 2010 integrated psychoeducational assessment was appropriate. Parents consented to a comprehensive assessment in May 2010 and stated the areas in which they wanted the District to assess Student, and provided the District with extensive documentation as to numerous areas of suspected disability from medical and psychological providers. The District cooperated with Parents, complied with the agreed upon assessment plan, and conducted a comprehensive and thorough assessment that assessed Student in all areas related to suspected disability. As to all the assessment instruments used in the integrated psychoeducational assessment, the District established that the test instruments were properly normed, not racially, culturally, or sexually biased, the assessors used the instruments for the purposes that they were designed, the assessors were qualified to administer the assessment tools, and properly did so. 11. As to the academic assessment, pursuant to Factual Findings 24 through 29 and Legal Conclusions 2 through 9, the District established that Ms. Hammel was qualified to administer the WIAT-II, that properly administered it, and that the results were accurate. As to Student’s challenge regarding the increase of Student’s math scores between 2009 and 2010, Dr. Pratt’s assessment confirmed Ms. Hammel’s findings and corroborated her opinion that the progress was attributable to the additional assistance that the District provided through the 504 process. Therefore, the District’s academic assessment was appropriate so that the District need not fund an IEE. 12. As to the speech and language assessment, pursuant to Factual Findings 11 through 23 and 32 through 35 and Legal Conclusions 2 through 9, the District assessed Student in all areas related to suspected disability as to language and communication. As to Student’s auditory processing disorder, the District appropriately had Ms. Warter assess this area of deficit because of her education, training, and experience as a school psychologist. The District established that Ms. Warter properly assessed Student’s auditory processing disorder and its impact on Student’s ability to access the curriculum and make meaningful educational progress. As to Student’s prosodic deficit, Ms. Pinelli assessed Student in all areas of suspected disability set forth in Dr. Verber’s report. Student did not overcome the evidence presented by the District that Ms. Warter and Ms. Pinelli were qualified to assess Student, respectively, as to her auditory processing and prosodic deficits, or that the information from the assessment was accurate. Additionally, Ms. Pinelli thoroughly assessed Student in the areas of expressive, receptive and pragmatic language based on concerns raised by Parents and in the private provider reports. Ms. Pinelli was qualified to perform the formal and informal testing, appropriately conducted her testing and her results were accurate. Accordingly, the District’s speech and language was appropriate so that the District need not fund an IEE. 13. As to Ms. Warter’s psychoeducational assessment, pursuant to Factual Findings 30 through 55 and Legal Conclusions 2 through 9, she appropriately reviewed Student’s educational records and all information presented by Parents as to Student’s educational performance and areas of suspected disability. She properly chose a wide breadth of assessment tools because of the numerous areas of suspected disability, was qualified to administer them, and properly did so. The District established that the assessment information in her psychoeducational assessment was accurate. Although Student asserted that Ms. Warter ignored evidence about Student’s behavioral and emotional problems, the evidence established that Ms. Warter considered all the information in Student’s education records, which included information from private providers, none of who mentioned that Student had attempted suicide. Ms. Warter used test instruments that were normed, and not racially, culturally, or sexually biased, and the information she obtained was accurate. Therefore, the District’s psychoeducational was appropriate so that the District need not fund an IEE. The District’s September 9, 2010 integrated psychoeducational assessment of Student, in the areas of speech and language, academics and psychological, was appropriate and the District is therefore not required to fund an IEE related to the integrated assessment.